Find a store close to you that can handle it. The Peterson Cat Rental Store offers a wide range of late model Cat equipment as well as machines and tools from more than 30 industry-leading manufacturers. Whether you’re a homeowner, contractor, or major construction company, we have the equipment and support services you need to get the job done! We have seven locations across Oregon to serve your heavy equipment needs, and services extending from the California border to SW Washington and east into Central Oregon. From the coast to the high desert, find your closest Peterson Cat Rental Store today! A TRUSTED LEADER SINCE 1936. Peterson has been in continuous operation since 1936, delivering quality machines and solutions for customers from the San Francisco Bay Area north into the Pacific Northwest. While our company has grown much over the past 80 years, our commitment to you, the customer, has always remained the same. Peterson puts the Customer First in all of its services and product offerings, and you can count on us to be there when you need us. We’re always innovating, and looking for new ways to deliver more for you! Working outside the Peterson Cat Rental Store service area? The Cat Rental Store offers an unmatched lineup of equipment for projects of every scale. Whether you are at home, on the farm, or at the job site, we have the machines and technology to tackle every project from home renovation and landscaping to highway and building construction. Let’s get to work for you! Excavators, dozers, and wheel loaders are just a few of the tools you can rent from the Cat Rental Store. We also carry lawn and garden equipment for landscaping and home renovation, electronic billboards, mobile barricades, and portable lighting for large events or roadwork, aerial lift equipment including boom and scissor lifts for interior maintenance and remodeling, and forklifts and telehandlers for material handling in warehouses or on jobsites. 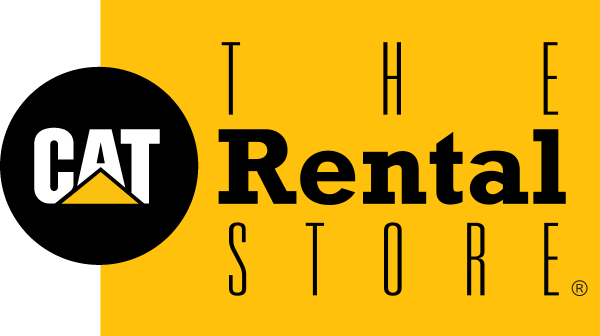 Whatever your rental equipment needs, the Cat Rental Store has you covered, and our fleet of delivery trucks is ready to bring these machines to your doorstep. All you have to do is use them! Need more precision in your grading operation? The Cat Rental Store’s sister company SITECH Oregon provides 2D & 3D machine control and guidance systems that can be added to your rental earthmoving machine! Our blog is full of safety and machine selection information. From trench safety, compressed air, aerial platforms and more, find it here. Looking to buy rather than rent? Peterson offers a wide selection of used equipment, everything from earthmoving gear to on-highway trucks and gensets. Check out our inventory at PetersonUsed.com!